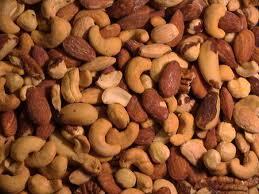 People, who are allergic to nuts, must avoid eating nuts as reaction to nuts can put their life in danger. Peanut allergy is a lifelong problem and only a few people grow out of this problem. Even thought manufacturers have improved product labeling, there are some products that may belong to nut family which may not be mentioned in the product labels. Nuts belong to LEGUME family and people who are allergic to nuts must avoid eating foods like lentils, peas, beans, cashews and other food items that are member of the legume family. If you want to eat products that belong to legume family, it is important that you consult your doctor before you introduce them in your diet. Some people, who are allergic to nuts, may only react to one type of nut while other may react to several types of nuts. Therefore, it is best that you have a nut free diet unless you know what is causing the reaction. At times, foods may get contaminated when touched by other foods that contain nuts. It is in your interest to avoid eating loose foods as it increase the risk of reaction. To reduce the risk of allergies, it is important that you read the label before you buying a product. If you are unable to identify products that are nut free, you can contact the local store or the manufacturer to check if the product is nut free. If you love eating confectionery products like biscuits and cakes, you can make them at home using corn or sunflower oil. If you are planning to attend a party or go out with family and friends to a restaurant, it is in your interest to eat safe foods. Make sure the organizer is aware of the foods that you cannot eat. If you are unsure of the products used by the chef, it is best that you eat plain foods like salads and fruits.